Nintendo president Shuntaro Furukawa did a very brief interview with The Sankei News, which received an English translation by Nintendo Everything. At one point in the interview, Furukawa is asked about how Nintendo’s goal of selling 20,000,000 Switch units within this fiscal year is going. Furukawa said that the goal “is an extremely ambitious, but worthwhile achievement. So, we will maintain this goal. Nintendo Switch is our primary sales objective, and we are not considering a successor or a price cut at this time”. Yeah. We’ve only entered the first month of 2019. Also, there are rumors about PS5’s release somewhere between 2019-2020. If it’s within this year, Nintendo needs a miracle to achieve their rather too ambitious attempt. 2019 might have barely started, but the fiscal year of 2018 is almost over. Ending in March they sure don’t have a lot of time left for all this “much to come”. No successor being considered huh? So rumors of a revamped Switch were just debunked ? success can mean a lot of things my guess is that their not working on a next gen switch. i think a revision is still possible especially if they don’t want to lose momentum to the ps5/xbox. Switch pro & mini debunked! 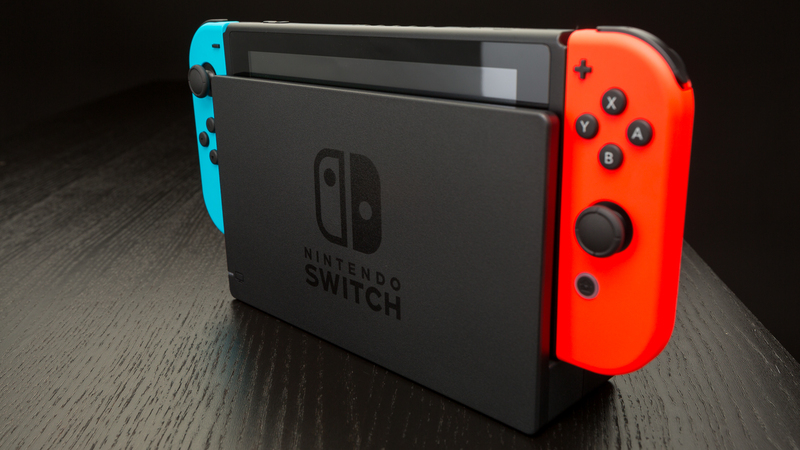 Switch Pro/Mini is not a successor to the Switch. A revamped switch should still be on the cards. It is a handheld too and Nintendo have updated these for years. This is what he said last year if the company is capable enough to reach this goal. In order for this to even happen then Nintendo needs to bring out a lot of games people are asking for. Earthbound, Pikmin 4, a new 3D Donkey Kong, a New 2D Donkey Kong, Start Developing Luigi ‘s Mansion 4(since they take too long to make a series) Have Ubisoft make a Rayman Lengends 2, and a Mario Rapids 2(what’s up with developers making great games but dont make a sequal immediately?) They also should immediately st as r Metroid Prime 5 immediately. Work on next Smash Bros. IMMEDIATELY. Work on Pikmin 5 immediately. Work onnMario Maker immediately. Have Gamefreak make another Pokemon Game Immediately after they make the one they working on now. Stop making Mario Tennis and Make Mario Super Strikers and Baseball. MAKE Mario Kart 9. And also Mario Kart 10 right away. This is part of the reason Wii U sales sucked. Yall dont work on games immediately. Also have producers make Wonderful 101 port and Wonderful 102 immediately. If tall do this, I’m 78% sure you will meet your goal.. If would be earth groundbreaking if they could get 2 Zelda titles AMD Mario titles on the Switch like in the N64 game and Wii. Start a New 3D Mario Game and release it on Switch not or 8 years from now. And tell Ubisoft to stop with those Let’s Dance Games and make Mario Rapids 2. That’s how you sell a console. Switch doesnt need no update. They need developers to work on tittles immediately. felixgray, Ogreatgames.com and Gruntilda: Note that this is a goal for the 2018 fiscal year. More often than not, the fiscal year does NOT align with your average year. Seeing how Nintendo’s 2018 fiscal year will end sometime in March, I really don’t see them having any time to develop any new games in such a short time. Nor do I see them changing/improving their Online service drastically before that time. If their goal was simply to reach 20mill during 2019 they probably wouldn’t have to do anything at all. They are so close to 20mill that they most likely would hit it without releasing a single game this year. My bet would be that there will be a new goal that surfaces at the end of March.